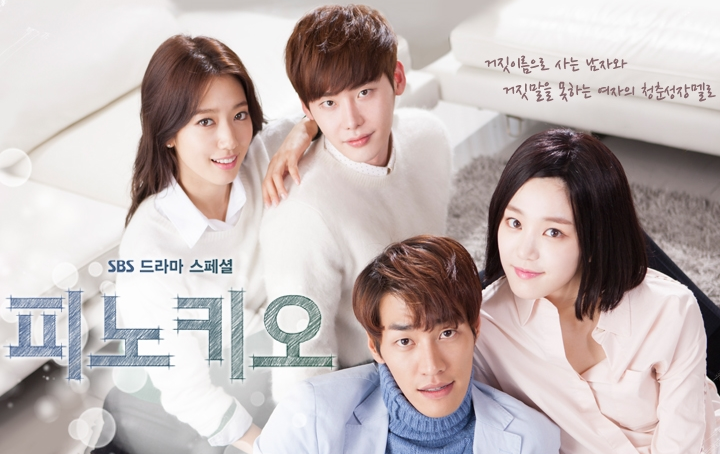 The preview of episode 14 brings back memories of Kim Eun Sook’s older drama Secret Garden. 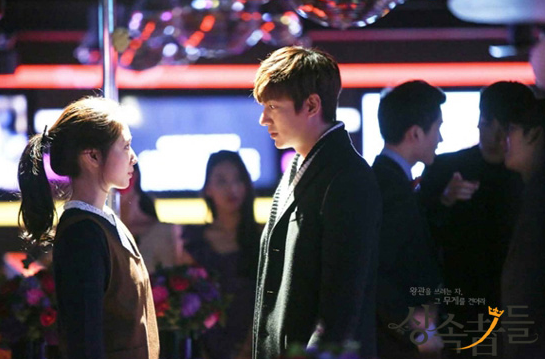 The writer seems to be following a very similar story arc, with episode 12 ending in a connection between the two leads: Cha Eun Sang and Kim Tan facing each other and crying, and Kim Joo Won and Gil Ra Im staring at each other in the resort suite while they lie on the ground with the action school fellow singing Kim Kwang Suk’s song in the background. Episode 14 in Secret Garden also had a party scene where Ra Im comes all dressed up and Joo Won and her kiss very publicly. 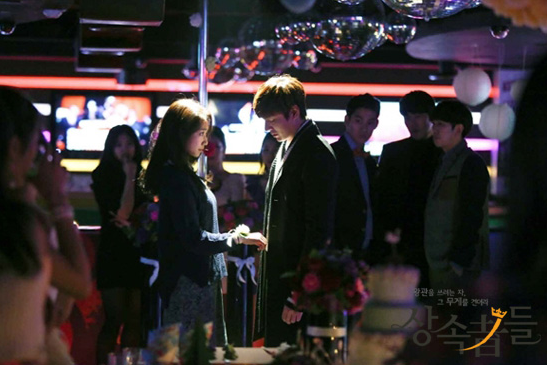 These stills for The Heirs hint at a similar scene, although I doubt there will be a hot make-out scene like we had in Secret Garden. Please prove me wrong, drama! The order will go like this. 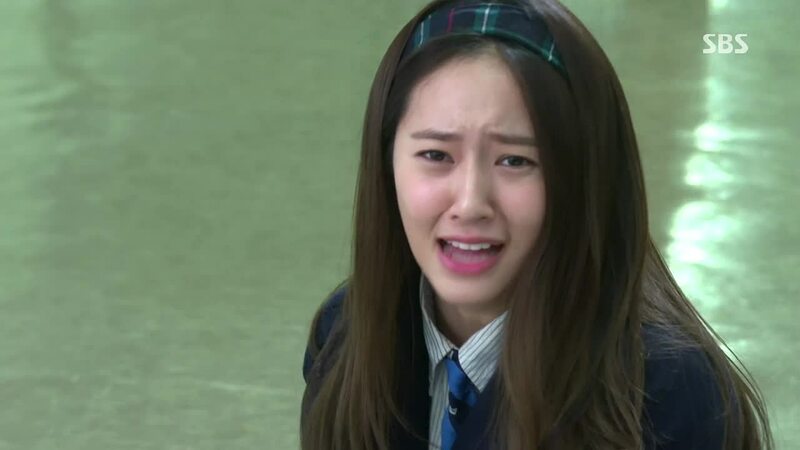 I can’t post updates while the drama is airing, unless the episode is moving slowly. I will be trying to capture as much as possible while I am watching the episode. When the episode is over, I will go back to my notes, fix them up a bit and update part by part on each recap post while waiting for the torrents. If you can leave a link here, that would be great. When the full episode is available, I will fill in more blanks and screencaps, and continue to update. Finally, I will leave my comments. 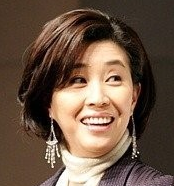 Jung Ji Sook- Kim Nam Yoon’s second wife, birth mom to neither Tan or Won. Tan has arrived just outside the broadcast room. 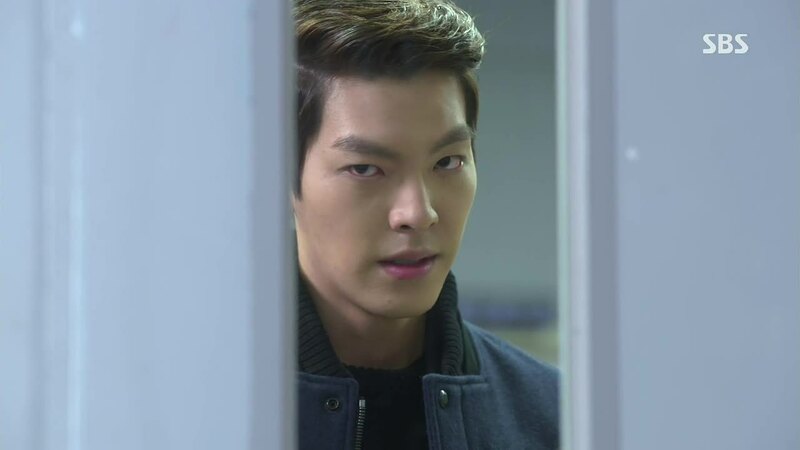 Through the door window, he can see YD, and he realizes that ES is in there too. He tries to get it, but YD locks the door. Tan kicks the door furiously, yelling at YD to open the door before he kills him. Tan finally kicks the door open, and telling ES to get out, punches YD. I noticed here that YD has pushed ES behind him so she doesn’t get hurt, knowing Tan is going to beat him up. 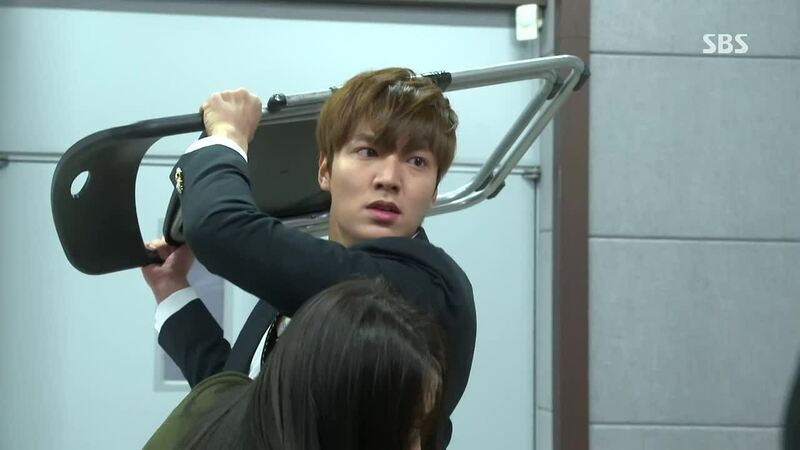 Tan picks up a chair to hit Young Do, but ES desperately grabs Tan’s waist to stop him. “Don’t do this.” Meanwhile, YD never fights back, steps back, or drops his gaze from ES. Tan throws the chair down and pushes ES outside. “Don’t come in.” Tan grabs YD’s collar and seethes, “I warned you not to bother ES.” YD pushes Tan away- he said that he would stop bothering ES if Tan let go of ES. Tan is sick and tired of this. To Young Do, he says, “Are you going to keep going till the end?” YD replies he has to since he gave up his last meal with his mom to beat Tan. Every time he looks at Tan, he wants to kill himself. Tan tells YD to grow up- how many chances gave he give to YD? YD tells Tan to stop pretending he is an adult. Tan replies he has always done is best with YD even when YD hurt Tan, insulted his mother, and when YD’s mom left. YD retorts that it is Tan’s best that always makes him mad. YD asks if Tan is happy with him only changing? “A bigger fight? Don’t kid yourself. Breaking up the engagement? You’re going to end up kneeling in front of your father anyway. Do it now then. Or are you going to make ES end up kneeling? What you are doing now is not a bigger fight but a foolhardy fight.” Tan points out to Tan, “Have you even fought a foolhardy fight? If I end up kneeling, I kneel. But then I can get back up. If I keep getting up, then the day will come when I don’t fall. 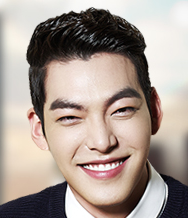 You just stay there, Choi Young Do. I am no longer there.” One of the best lines so far! Outside the room, R approaches ES and asks if the theme of this fight is her. ES is crying. Tan comes out and without even looking at R, just walks away with ES. R goes into the room to see YD. R demands to know why YD tried to reveal Tan’s secret; did he changed his mind? 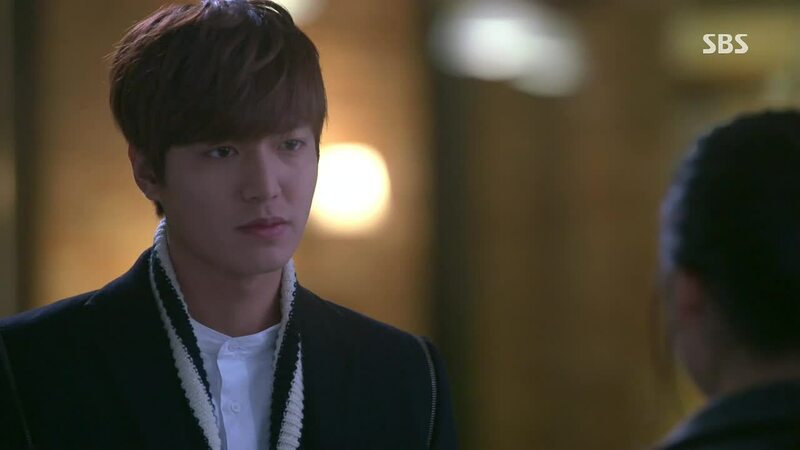 YD replies he hasn’t changed his mind; it is to see someone for a just a brief moment. Back to R and YD. YD is basically telling R the same thing- about resenting himself. But it’s not like he can fight with himself. He turns the question to R- she knows that Tan hasn’t done anything wrong to her. Tan never gave her hope. She’s the one who broke the rules of the arranged marriage; it’s cheating to hold onto and obsess in an arranged relationship. Back to Tan and ES. ES comments that it seems YD and Tan are the ones dating. Cuteness ensues in regards to Tan’s uniform that ES washed. 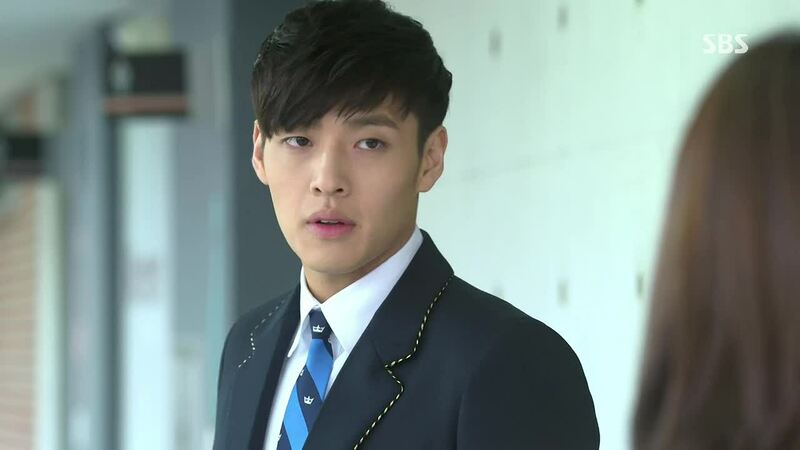 Tan ends up threatening to take off the uniform right now. ES shields her eyes. BN is telling HS on the phone that the door to the broadcast room has been smashed in. She sees CY in the hallway and tries to talk to him, but CY ignores her and keeps walking. BN pretends to fall. CY still walks away, but his anger is already melting because of BN’s cute antics. He smiles to himself. In front of the lockers, YS asks ES to help her get the script for her drama audition tomorrow from MS’s studio since she can’t go there anymore. ES agrees and asks if YS is okay. YS guesses the ES is laughing at her inside. ES sigh and notes that kids in this school all think they know what the other person in thinking. And they don’t know how to apologize. Before ES leaves, YS apologizes to her. ES smiles and say she will call YS later. ES has come to MS’s studio to get the script. YD is there. Without saying anything o her, he is about to leave when ES calls him back and offers him a band-aid for the wound on his face due to Tan’s punch. He doesn’t take it and just leaves. ES is packing up YS’s things. BN has come to get the script also, but seeing that ES has it, just tells her to make sure YS gets it since YS needs it for the audition. Aww, BN, you are such a sweetie. ES comes out and sees that YD hasn’t left yet. He puts out his hand in front of her, and meekly says to her, “Give it to me. The band-aid.” ES offers it to him again. He gruffly pulls it out of ES’s hand and leaves without another word. ES is talking to CY on the phone about BN, while hanging up her uniform to dry, advising them to make up soon, before someone else takes “pretty Bo Na.” CY admits that he find her so adorable before in the hallway. ES’s mom is making a list of things the new maid after her should know. KA comes into the kitchen and gets upset that ES’s mom is doing this so fast- she hasn’t even found another maid yet? Does ES’s mom want to leave that much? The other maid comes to say that Rachel has come. ES comes into the kitchen so KA tells ES to go into room; R can’t find out that ES is here too in this house or it’s really over for Tan. KA comes out to greet R. R greets KA, calling her “mother.” R acts nice, offering KA flowers and saying she is glad to meet her. R tells KA that she has been feeling a little unsettled because it seems Tan likes ES. KA lies that Tan is just being nice to ES because KA knows the family. R also assures KA that she has no plans to break the engagement. KA looks relieved and thanks her. R is leaving the house, with the fake smile gone, and she sees a girl’s uniform hanging on the laundry line. She checks the pocket and finds ES’s name tag. R calls JS or KA and asks why ES is living in Tan’s house. ES comes out of her room. She notices her uniform is gone. The next day at school, Tan is waiting outside for ES with soy milk to share but she doesn’t show up at their meeting stop. He calls, but there is no answer. Inside the school, ES asks R where her uniform is. R replies that she threw it out. ES runs to the trash bins to search for her uniform. She finds it and is upset since her mom bought it. R comes out and asks if ES’s heart hurts; this is what she felt like seeing ES’s uniform at Tan’s house. ES asks if R feels better after seeing ES dig through trash. R replies no- this is just the beginning. How could she feel better only with this, after finding out the girl her fiance is dating only a maid’s daughter, who is lying she is new money. ES yells, asking what can she do so R feels better. R tells ES to clean up the trash- she should have learned a thing or two from her mom. ES slaps R. R’s mind is blown. She is about to slap ES’s back, but ES blocks her. ES yells at R for insulting her mom. R tells ES to leave the school- she is giving E the chance to just leave quietly before R reveals ES’s secret. ES dares her too; she isn’t scared. R threatens to let out not only ES’s secret, but also Tan’s secret. YD won’t do it since he never planned to from the beginning, but R has not reason to keep it a secret. 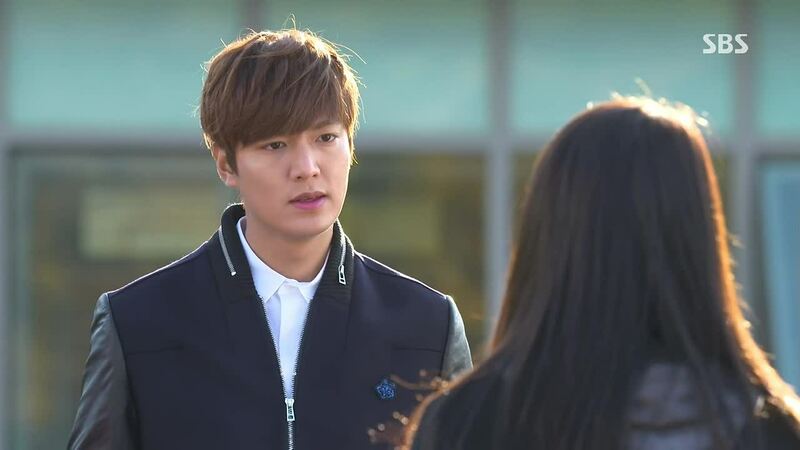 ES screams, “Why bring Kim Tan into my problem?” R explains this is what will make ES transfer schools. R: “If I can’t have it, I will tie both of you together and drop you.” ES, scared for Tan, says she will think about transferring. Suddenly, Tan’s voice is heard. He has overheard this conversation. Tan tells ES to leave. She does. R starts to explain, to complain about her hurt, but Tan interrupts her. He just asks how R found out ES lived at his house. R says she went to Tan’s house to see his mom. Tan replies, “Which mom? The mom you looked at like she was a bug?” R has nothing to say to that. Tan continues, saying he wanted to at least remain friends with R, but it seems he can’t even do that now. “While I can’t hit a girl, in my heart, I already have.” He leaves. ES interjects that all that isn’t his fault either. She assures him once more that all that isn’t because of him. Frustrated, Tan asks ES if they should just run away to the US. 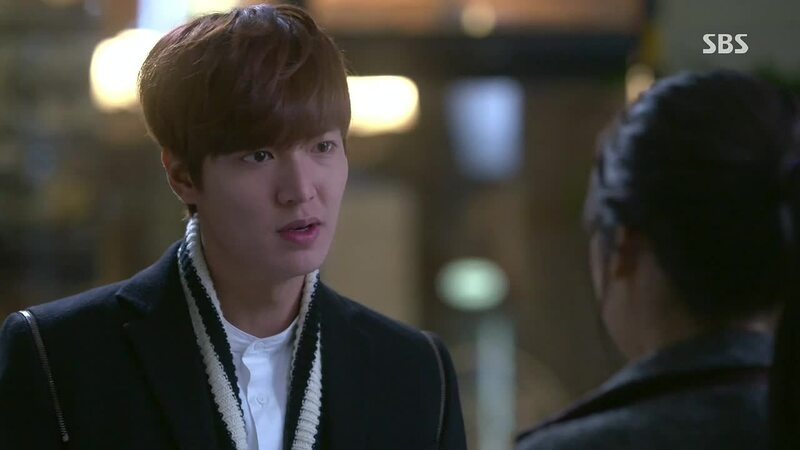 E points out that both she and Tan would be abandoning their mothers- shall they leave? There is no answer from Tan. Silence just fills the air to a question they know the answer to, and the helplessness of the situation. HJ has to counsel Tan and YD now. She wants them to write down what they each did wrong, but Young and Tan both say it’s the other persons’ fault. HJ tells them to write that down then. Tan and YD think about what the other person did wrong to them: Tan- what YD did wrong to him, and YD- what Tan did wrong to him. Flashback. YD’s mom is asking Tan where YD is; she doesn’t have a cellphone right now. Tan says YD is not talking to him these days. Tan notices YD’s mom’s bag. Mom says she doesn’t have time- can he please bring YD to the little food place in front of the school? Little Tan chases after YD, trying to bring him to his mom, but YD insults Tan and doesn’t follow. 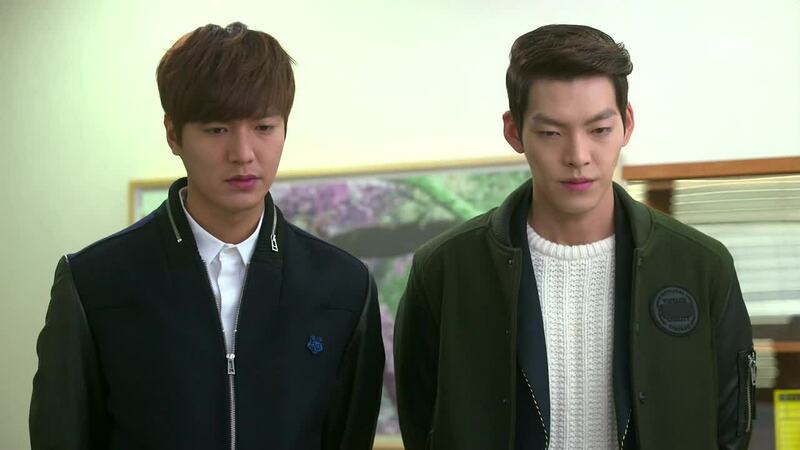 Older Tan and YD are thinking to themselves what they each did wrong to each other now. Tan: “I should have kept on trying to bring you to your mom. If I knew it would be your last chance. YD: “I should have followed you. If I knew that it would be a chance that would never come again.” They still don’t write anything down on the paper, though. HJ asks why they haven’t written anything- did they do nothing wrong? They why did they fight? It’s a question that gets to heart of YD and Tan’s foolishness in fighting with each other all this time. In the broadcasting studio, BN yells at ES- hasn’t she told CY yet that BN feels sorry? BN is saying how sorry she is and that she can’t breathe without CY. HS puts on the mic so it is all broadcast throughout the school. BN is embarrassed, and runs into CY in the hallway. BN runs away, and CY chases after her. HS finally sees that HJ is here in Jeguk High. HJ informs him that has upgraded from being a tutor to a teacher- “Congratulate me.” HS replies that he doesn’t want to since his first love have grown even farther this time. MS and YD are at the studio. MS is worried about YD- how is his first or one-side love going? YD wonders if ES is his first love. MS replies, “If Tan isn’t your first love.” Ha! MS advices YD to stop since it seems Tan and ES won’t break up. To test how much YD likes ES, MS asks what YD will do if both he and ES fell into the water. YD replies he won’t allow MS and ES together alone by the water. MS changes the question- what will YD do if he himself and ES fall into the water? YD replies he will save ES so she will live and be unable to go to Tan out of guilt that YD died. MS points out that YD always picks the sad ending. Also, what is he going to do about his dad? Tan walks ES to his house. ES asks when Tan will come home. Tan replies he will come home with his brother. First, though, he is planning to take Won to school with him. ES jokes that Tan won’t even be able to go the second plan then. Tan asks why Won dislikes him so much. 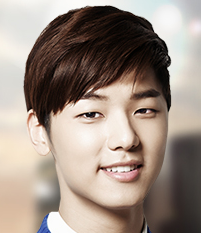 Won says he has no reason to like him, a brother with a different mother. Tan replies. “Right. I’ll be good to you.” Won tells him not to; it makes him uncomfortable. Won gets up now, and Tan follows him. His brother’s coldness doesn’t bother him that much anymore. BN is giving out invitation to her make-up party with CY. She hands one to YD. 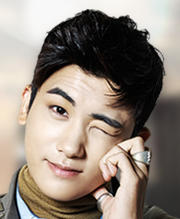 Also to YS. YS and BN are busy apologizing to each other, saying they are more sorry than the other person. ADORABLE. Tan takes an invitation too. Tan goes to broadcast room to talk to HS. He is concerned about HS- he’s going to do well on the college admissions examination, right? It is the day of the exam (and BN’s party). HS has arrived to take the test. His mother wishes him luck. She leaves before HS has fully gone into the test site. Uh oh, not a good idea. Tan is in Won’s room alone. He sees the list of stockholders and makes a connection to what Won said before on the phone with Yoon. He calls Yoon, but Yoon says he will call back later. Brother-in-law has called Chairman Kim to inform him of the personnel reassignment. Daddy Kim wasn’t away of this at all. Tan arrives at the restaurant. KA has used ES to call Tan because Tan wouldn’t answer her calls. Tan asks if ES is also working part time as a hostage. Tan asks if she brought some clothes. Hehe, KA has. Such a sucker for her son. KA tells Tan that R came to the house and that she thinks R knows something about Tan and ES’s relationship. What are they planning to do? Tan replies they plan to be happy. KA asks, “How?? ?” His dad is not going to leave Tan alone like this for long. Tan pipes up that he has no time for this then and leaves with ES. Aww, poor KA. 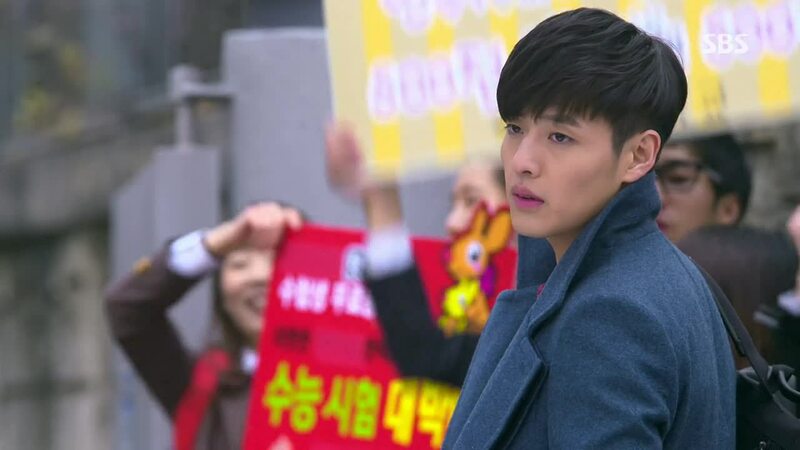 Outside, Tan asks if ES is upset over what his mom said. ES says she just finds it fascinating that KA said, “Break up you two.” Tan is amazed that ES is fascinated, not scared. Tan says he wants to hold hands. ES offers her hand, but Tan hugs her shoulders. They walk side by side with Tan’s arm around ES’s shoulders. Tan scolds ES for becoming mom’s hostage. ES says it was the other way around; KA was hers since she wanted to see Tan. They bicker about what to do next, which ends up with Tan threatening ES that he will kiss her if she keeps talking back. ES escapes, needing to go to her part-time job, but Tan walks up to her and back-hugs here, enveloping her with his coat. He points out that this is what ES did to him before to keep him for hurting YD with the chair. He embraces her correctly next, asking her to do this next time. ES finds $50 in Tan’s coat, which makes Tan release her immediately. Cute. Yoon calls, and Tan rushes off. Yoon informs Tan about his birthday stocks and what his dad has been doing with them. 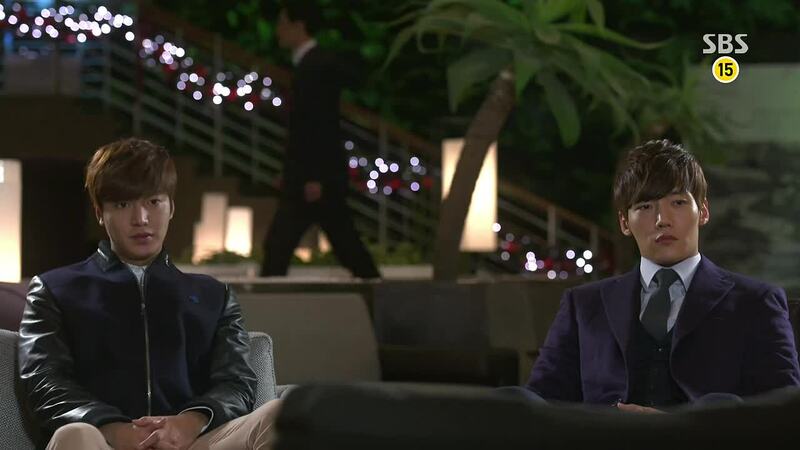 Tan: “Hyung must be really angry.” Yoon tells Tan that Won has already started the war with his dad, transferring all the people that were on that stockholders’ list and were standing behind Tan into other positions or locations. Tan says that regardless of what he wants, under no will of his own, he is put into the fighting ring. Yoon replies it is because Tan was born the second son of Jeguk; he was born with a lot but he also has to give up a lot of things- such as his own will. Tan says he knows why he is put into the fighting ring- so that he doesn’t dream about something else. Tan asks what will happen if Won wins the battle against his dad; will he be fighting Tan next? Yoon affirms. R and BN are at the same hair salon. R is trying to get out of BN where ES works. She also asks where BN’s party is. BN doesn’t want R to come. 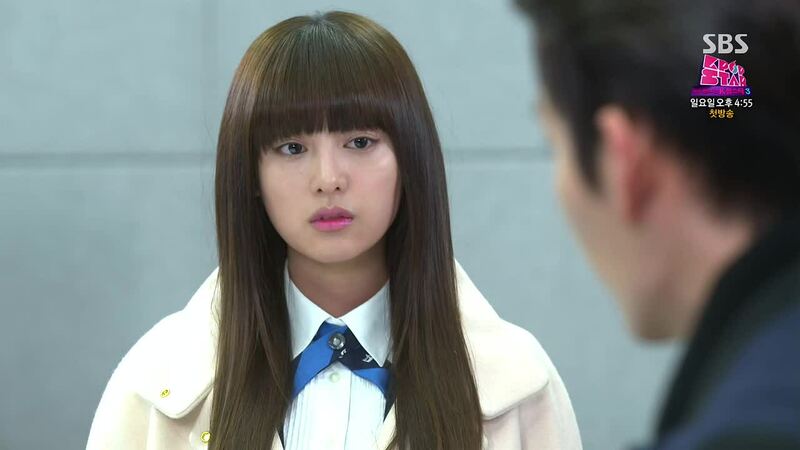 R texts YD, saying she is in front of ES’s part-time job. 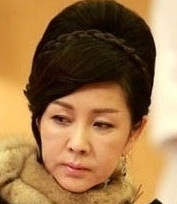 Worried, YD rushes over to ES’s café WITH HIS HAIR UNWAXED, and R tails him from the hotel. R and YD meet outside the cafe, with YD now realizing that R tricked him. He grabs her collar, and R asks if YD is going to hit a girl too now. 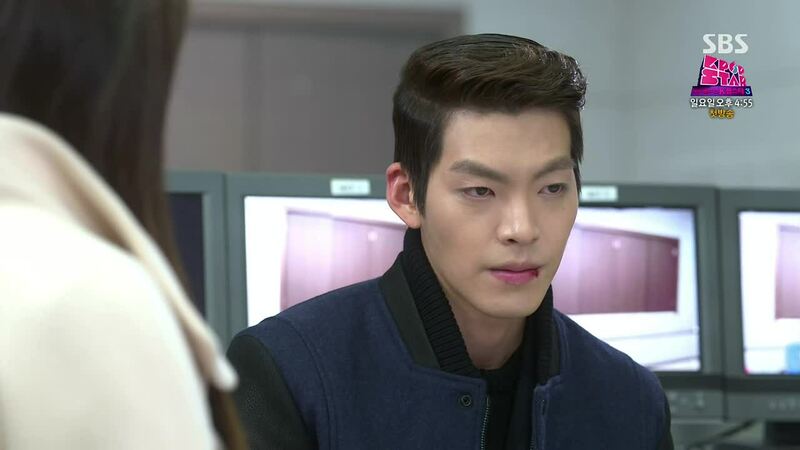 YD says he is not scared to become a bad guy for things involving Cha Eun Sang. 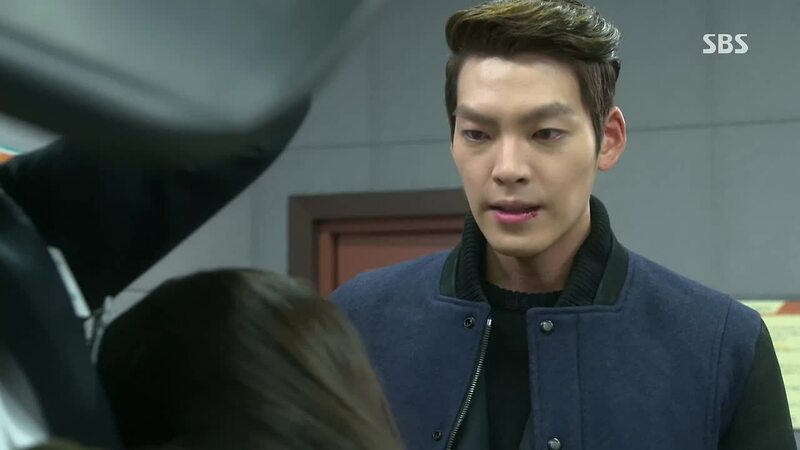 R tells him to be be scared since YD liking ES seems to be poison to ES. At BN’s party. BN and CY cuteness. R arrives. Nobody is really happy to see her, but R says she ordered coffee for this party. ES gets a catering order. On instinct, she calls CY and confirms that the catering is at CY and BN’s party. ES texts Tan, who is sitting in the hotel lobby again thinking, asking if he is there at the party. He texts he is going. ES says she is going too- don’t be surprised when he sees her. He texts why- isn’t she working right now? There is no reply so he calls. No answer. Tan gets up and leaves. 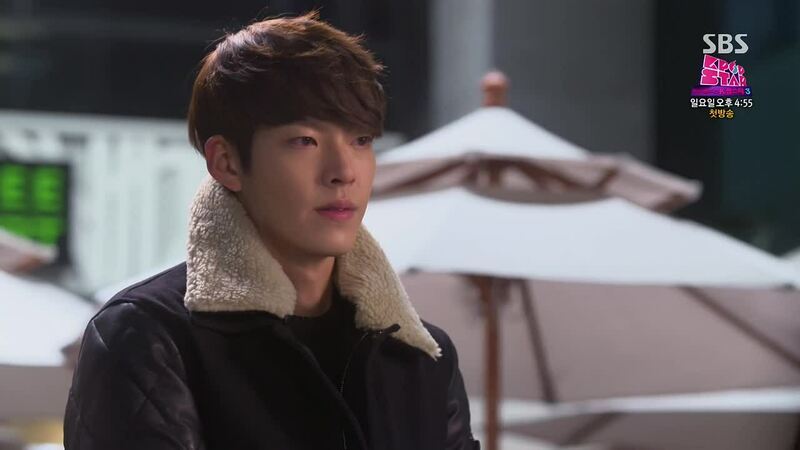 He runs into YD in the lobby, but just walks past him, perhaps not even noticing him in his focus on Eun Sang. ES comes into the party, announcing that she is catering service. R has a smug look on her face, but ES acts normally, saying she is working her part-time job and congrats to CY and BN. CY figures out this is R’s plan. ES says she came knowing. MS asks why ES is working a part-time job. ES is about to reveal her secret, but Tan comes in. Tan wants her to leave with him. ES says she is working. R announces that she is the one who ordered the drinks. Tan asks when ES is finished. ES replies when she is done pouring all the drinks, so Tan turns over the table, spilling everything. He takes ES outside. ES apologizes to R, and says she will be back with new drinks. BN gets mad at R. MS calls YD. Outside, ES and Tan fight. He asks how she can come here knowing everything that R has set up. E asks why she can’t have a part-time job; Choi Young Do doing it is okay because that is his hotel, but her working is embarrassing because this isn’t her cafe chain? Tan explains that that is not what he means. He just doesn’t want ES to be treated like that there at the party. ES yells, “The thing I was most embarrassed about was me, who didn’t say anything when I was called new money at school. I wasn’t embarrassed about my poverty, but the fact I was lying.” Tan says he know that, but he just wants her go down the easy path. ES informs him she came to tell all the other kids the truth. She hasn’t sleep well since the lie started, always fearing what will happen the next day. She points out that it was the same for Tan too, from the moment he was born till just a few days ago. He kept a secret all that time, but he finally revealed it! Tan explains that is why he doesn’t want her to- you don’t become happier after revealing the secret. He doesn’t want her to get hurt. He asks why she is being so stubborn about this. 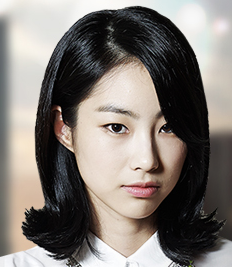 ES replies that she learned it from him- knowing she will get hurt but continuing forward. She leaves, saying she will be back. R comes out and says to Tan it would have been better for Tan if ES was at least new money. Tan doesn’t even look at her as she tells R to not talk to him- from now on too. To Tan, R is not even worth mixing words with. He just continues to look toward where ES disappeared. Tan waits outside for ES to come back. She does, with new drinks. Tan apologizes for making it hard for her by making her new money. If she find she can’t do it anymore (announcing her secret), come to him and hug him. ES announces to everyone at the party that she is not new money; she is a charity case. YD comes in the midst of this. 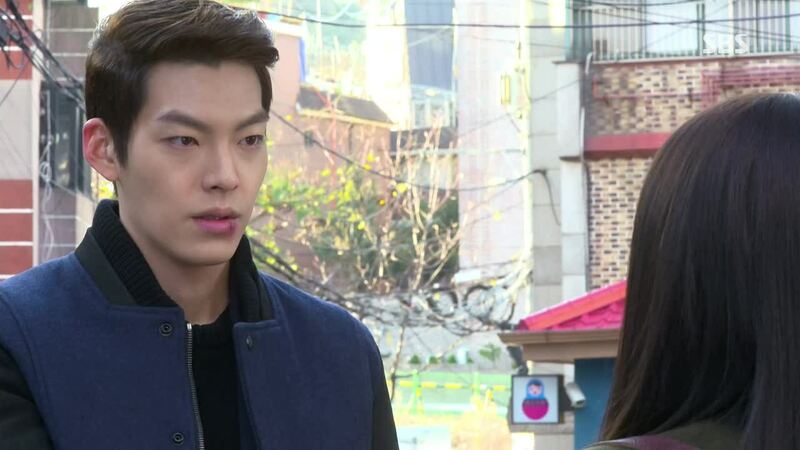 CY is about to do something to help ES, but Tan stops him. R stomps off. Tan asks MS to turn on the music. 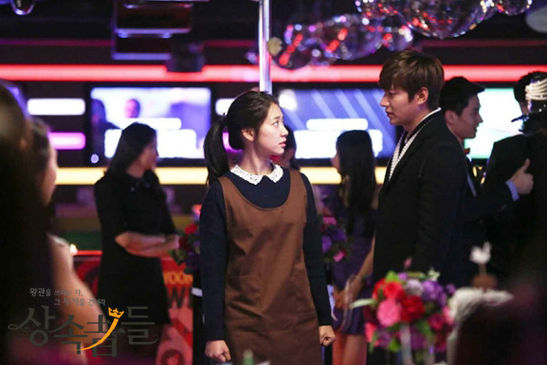 He also tells the other kids to serve their own drinks; Eun Sang is off work now. YD can’t watch this anymore, his heart breaking into a million pieces. He leaves. Tan says, “Let’s start the party now.” Tan steps closer to ES and gently takes off her apron, her hair tie, and puts a corsage on her wrist. He cups her face in his hands and softly kisses ES on her forehead. One of the biggest lessons in life is not learning how to get up when you fall; it’s learning that it is okay to fall, because you can always get up again. As the old adage says, there is nothing to fear but fear itself. If you are afraid to fall, afraid to fight, you can’t do anything. But if you take courage and fight the good fight, you can always get up again if you fall. Tan took that step forward into the battlefield last week, daring to go against his father and the prejudiced world. He gathered the courage because there was someone he desired and wanted to protect. 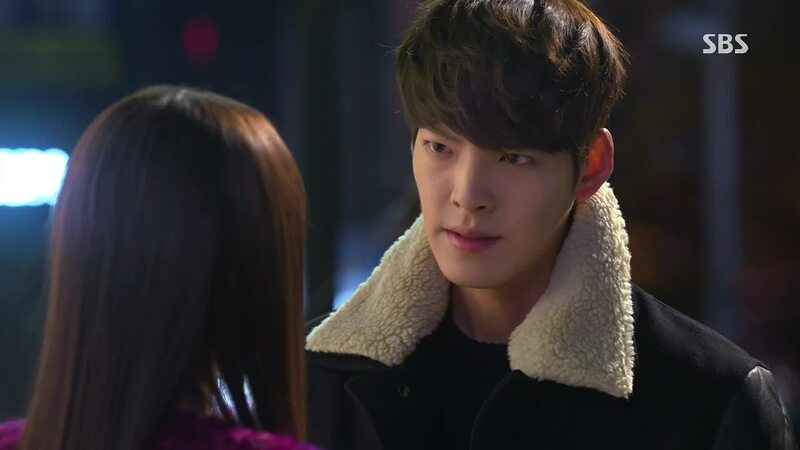 It didn’t solve all his problems- in fact, he may have just brought on more in terms of major business repercussions- but he was able to obtain the person he needed- Eun Sang- by his side for those future attacks. 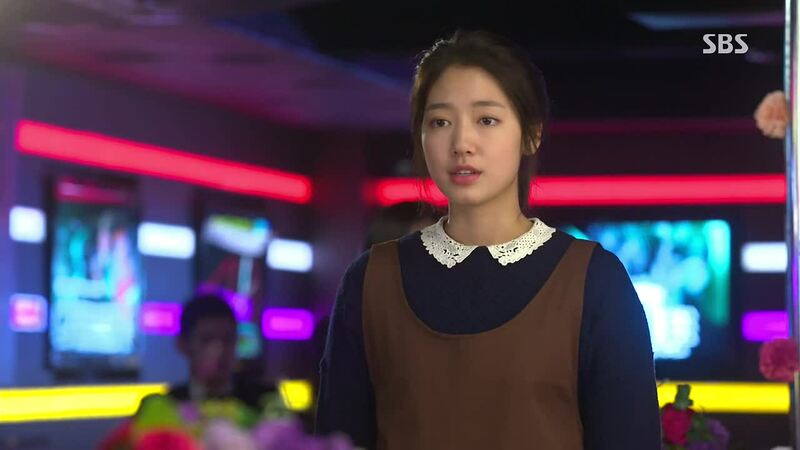 Eun Sang has stood by, watching Tan grow and change for her. 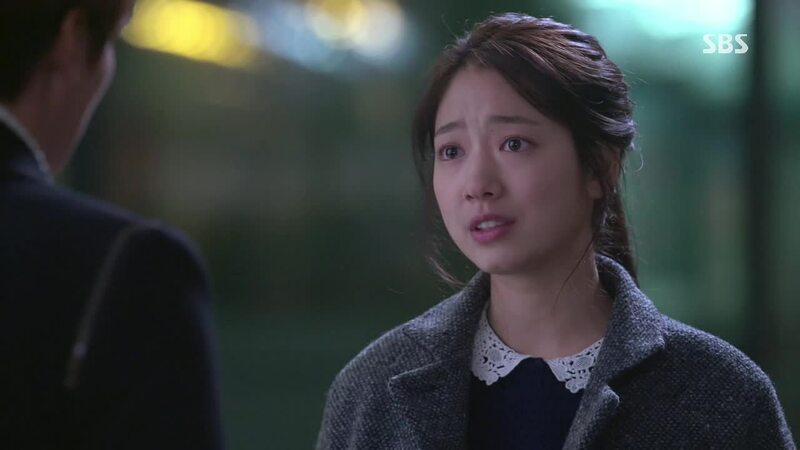 She saw him become free from the burden of his secret, and in this episode, Eun Sang was ready to do that for herself. She wanted to be free from being miserable, worried, and scared all the time- that the other kids will find out and bully her and that R will reveals Tan’s secret along with hers. If she reveals it first, it will restore her integrity as well as weaken Rachel’s ammunition against Tan. 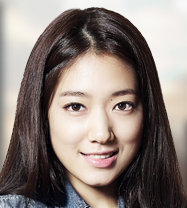 Now Eun Sang can stand free and proud as who she really is in front of the other kids. And Tan kisses her, on the forehead, as a sign that he loves all and everything that she is. Joo Won also kissed Ra Im on the forehead before that full make-out kiss in episode 14 of Secret Garden. 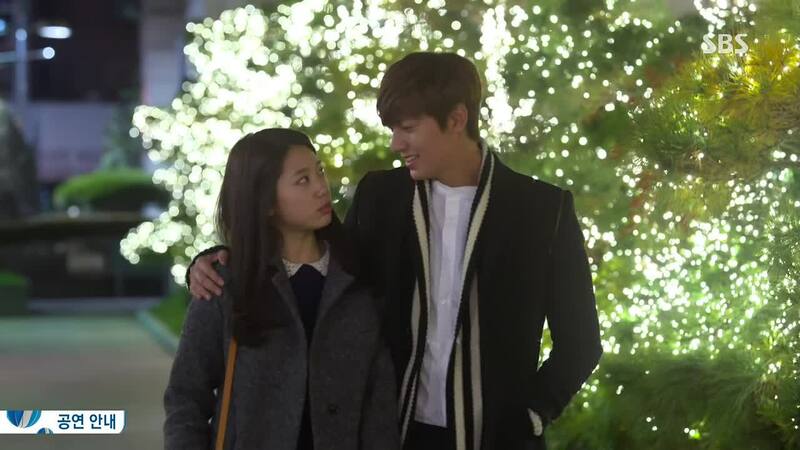 I don’t think we’ll be seeing that kind of kissing in The Heirs but the kiss on the forehead is gentle, protective, and grateful- the three best qualities of love. 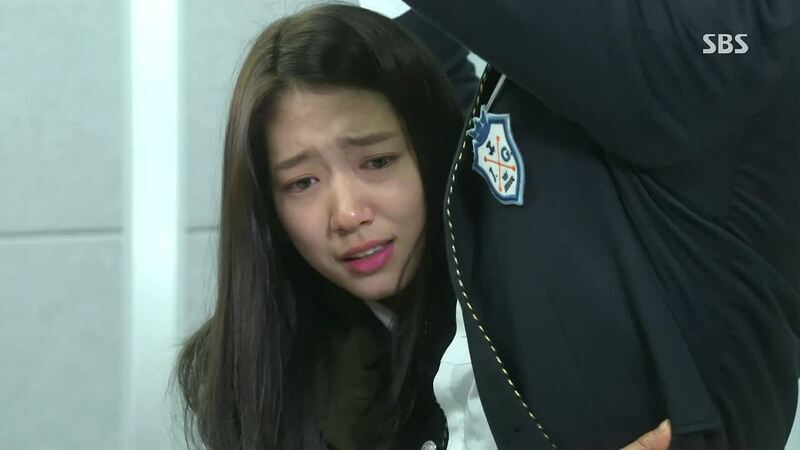 Tan’s forehead kiss is very appropriate in this moment of this drama as Tan treats Eun Sang a little more delicately than before, he is protective of her, and he is grateful for her love and her courage. Tan finds his lonely life being filled little by little due to the courage he has shown. He is no longer that child who used to sit alone on the stairs of his huge American house and eat a sandwich. He gathered the courage to come back to Korea and he gained his mother back. 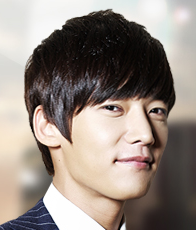 He found his friends like Hyo Shin, Myung Soo, and Bo Na again. He is able to share a hotel room with his brother and also sit side-by-side with him for an extended amount of time. 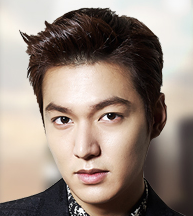 He also has Eun Sang now in life- the person who accepted him for who he is, an illegitimate son. He is filling his life with them, as they fill their lives with Tan. 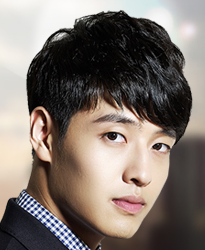 In episode four, Tan said in a voiceover right before he decided to come to Korea, “I always imagined about the people who are lonely because I exist. I wished that those people felt lonely because I wasn’t there.” Tan, you’ve certainly achieved this, although your brother might need a little more cracking. As for Young Do, as Tan pointed out, he is stuck where he is, only able to make others miserable by making himself miserable. He doesn’t fight against his father’s tyranny because he isn’t ready to fall if he loses the fight. Instead, he keeps going up against Tan, a person he has no real reason to fight against. Today’s episode really felt like the end of Tan and YD’s non-Eun Sang related conflicted since both boys admitted- although not aloud- that they both did wrong to each other. While YD and Tan probably still can’t be friends because of ES, the primary source of conflict seems to be solved between them. 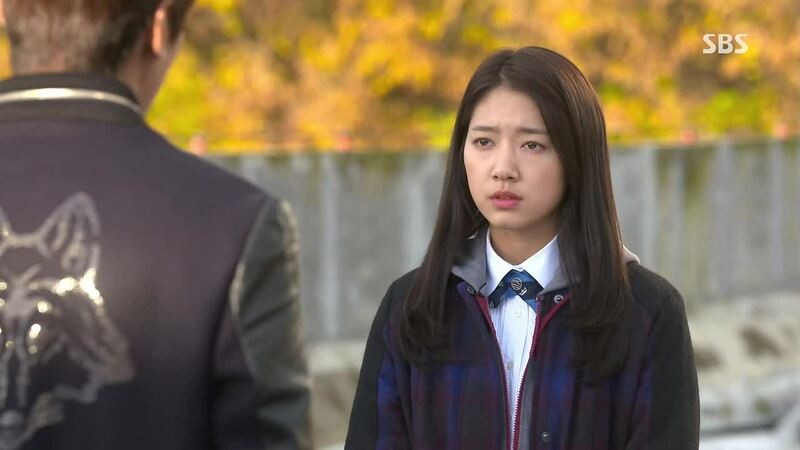 With that issue gone and ES showing no room in her heart for him, YD is unable to do anything but worry about Eun Sang, think about Eun Sang, and be sad about Eun Sang. My heart aches for him as he has no where to go and no one to lean on. I’m guessing that Hyo Shin is not going to take the examination, which would probably be worse to his parents than committing suicide. Two of my favorite scenes this episode was when Young Do and Tan were sitting side by side, and Won and Tan were sitting down by side. It the first time we have seen these pairs sitting next to each other not fighting. They show how much the relationship between these pairs have changed. Okay, I am falling asleep while typing, making so many mistakes, so I will just stop writing the comments for now and come back after getting some sleep. Much love and much thanks to you guys. Looking forward to reading your comments too. I found the Eun Sang and Young Do song from episode 13! It is Cold Cherry – Growing Pains2. 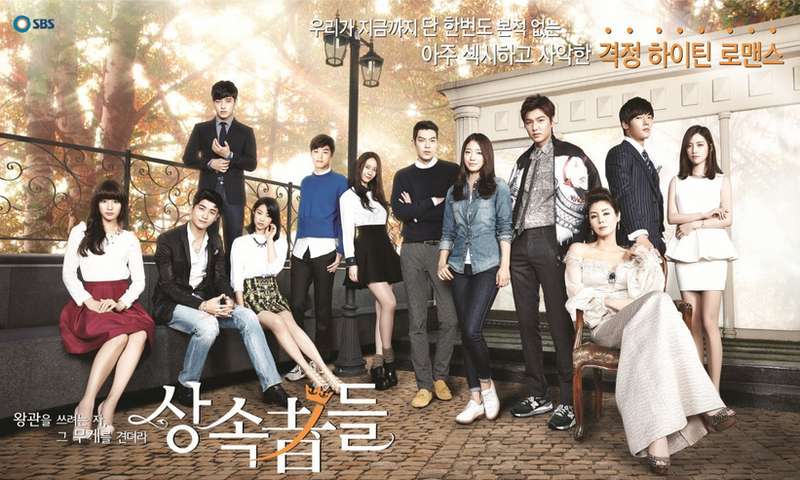 When will the new episodes (17-) for Heirs start? I love your comments, i come here to read them directly after i´ve seen an episode. To better understand the characters, the expressions, feelings and actions. Before i found this blog I actually thought about quitting this series because I couldn’t really say i understood why the chars did what they did. But you have made me love it so much it hurts, thank you!